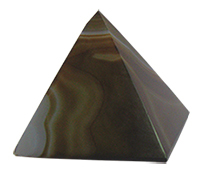 Item #AM-APY-25: 2"x2" base Agate Pyramid. Item #MS-160: Approx. 3.5" - 4" tall of 2 - 4 lbs. TW in assorted natural colors. Item #MN-ASN-12: Agate Slab necklace in assorted shapes and colors on adjustable 26" cord. 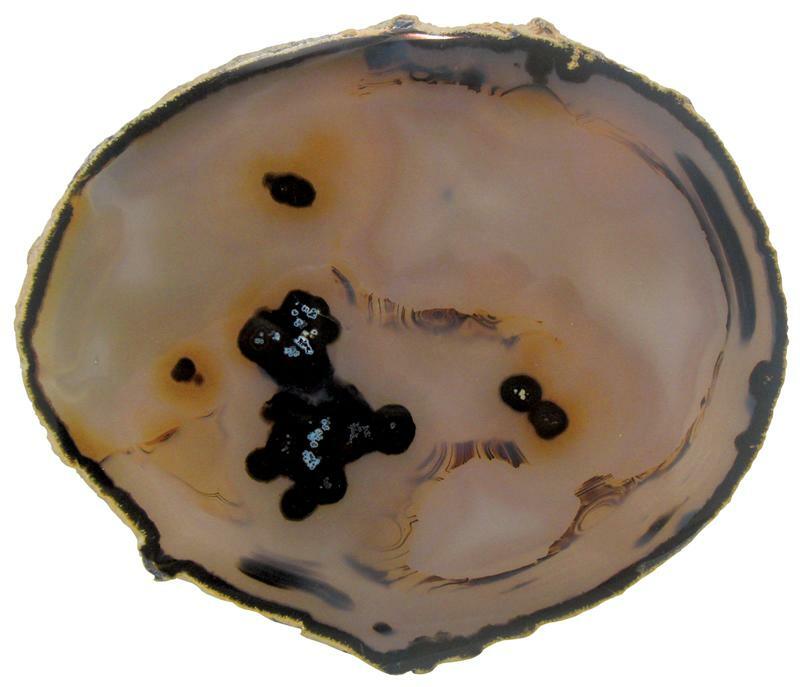 Item #MS-762: Approximately 5"x7.5" Agate Geode slice (Brazil). 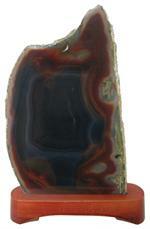 Item #MS-756: 2.25" - 5.25" tall polished Agate Point. 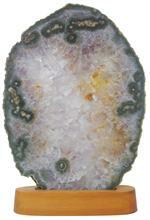 Item #MS-757: 2.75" - 5.5" tall polished Agate Point. Item #AM-ASD-50: Polished Agate soap dish. Measures 5 1/2" to 6". Assorted colors and patterns. Item #DAH-SP-80: 3"x3.5" average Drusy Agate heart specimen in assorted colors. Item FA-WDW-10: 1"-1.5" Fire Agate "Window" from Mexico. 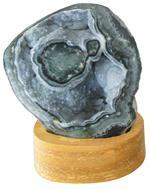 Item #AM-GAD-125: 3.5"x4.5" tall Green Drusy Agate on wood base. 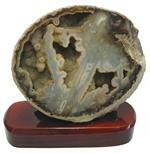 Item #AM-PAA-125: 10.75"x8.25" tall Polished Agate after Anhydrite (Tocatins, Brazil) on 1.5" wooden stand. 1.77lbs.